A pregnant mother was taken into custody by police on Dec. 11 after they found her passed out on heroin at the wheel while stopped at a red light, with her 10-month-old child in the back seat, Fox59 reports. There are no reports of injuries and the young child has been remanded to the custody of the Department of Child Services. The stoplight had cycled a few times from green to red, and the car belonging Natalie Onay, 22, from Evansville, Indiana, didn’t move, alarming the motorist behind her, Miami Herald reports. The driver behind Onay honked, causing the 22-year-old to move forward slowly, then stop before getting nearly hit by another car. Onay was in the driver’s seat and had passed out after taking heroin 10 minutes earlier, Fox59 reports. Responding officers told reporters they had to pull the 5-month-pregnant woman from the car, according to Tristatehomepage.com, and they allegedly found a syringe and 0.1 grams of heroin in the vehicle. The woman admitted to injecting the drug and told the police that she had been clean for two years before the current relapse, states the Herald. 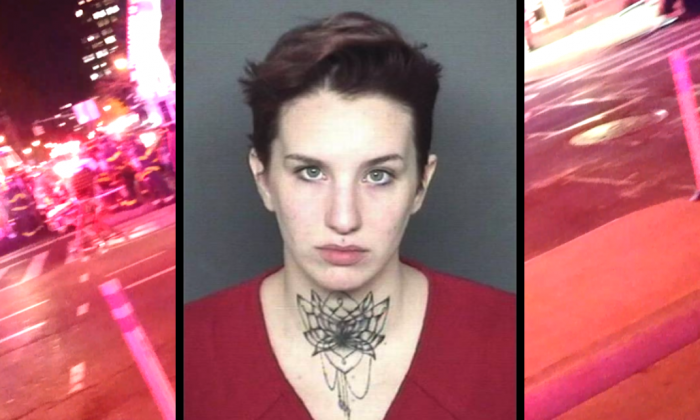 The woman faces a number of charges in connection with the incident, including child neglect, possession of a narcotic, and driving while intoxicated, reports Fox59. The incident represents yet another entry in the grim ledger of the nation’s opioid crisis. Over 90 Americans a day die from opioid abuse, according to the National Institute on Drug Abuse. The president’s Council of Economic Advisers (CEA) estimated that the cost of the opioid crisis in 2015 was $504 billion, or 2.8 percent of GDP. In 2016, preliminary estimates put the death toll of all drug overdoses at 64,000. The death toll so far in 2017 is even higher, mostly due to synthetic opioids such as fentanyl and carfentanil. Fentanyl is 50 times more powerful than heroin and 100 times more potent than morphine. Carfentanil, which is even more potent, is considered a chemical weapon. The incident is also yet another story making headlines of parents getting high while their children are in their car. 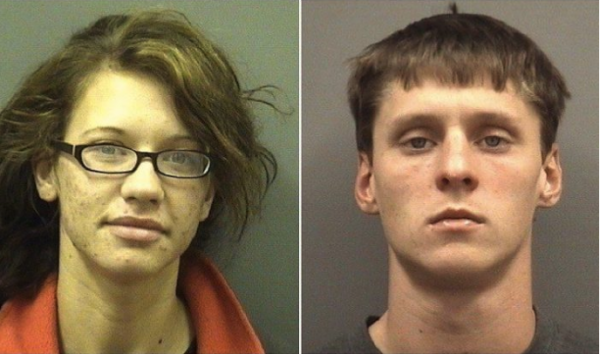 Epoch Times recently wrote of a North Carolina couple passed out in their car after injecting heroin with their three-year-old toddler crying in the back seat.